As a graduate of Wartburg College, you know firsthand the amazing experiences students have as part of the liberal arts education here. With the Alumni Referral Award, you can help high school students take a similar journey of discovery. This award will have your name on it as a testament to the importance of your involvement in the lives of our future alumni. There’s no limit to the number of students you can qualify for an award. You don’t have to wait until they’re seniors, either — refer a freshman to give them lots of time to think about becoming a Knight. The deadline to refer a student graduating from high school in 2019 is Dec. 15, 2018. Click the button below to refer ANY student, regardless of their eligibility, for the Alumni Referral Award. What communication will the student get? The student will receive an email letting them know you’ve referred them, which will explain the Alumni Referral Award and encourage them to visit campus. They will also receive informational materials from our Admissions Office, if they haven’t already. What if they don’t enroll at Wartburg? In the unfortunate event that Wartburg isn’t the right fit for the student you referred, we’ll wish them well at their college of choice. As with the rest of their Wartburg financial aid package, the award is only given if the student enrolls here. Who is eligible to receive this award? Any student in high school is eligible as long as the referral is completed by Dec. 15 of their senior year. Any student who is referred by alumni and then enrolls at Wartburg will receive the award. Why is the deadline Dec. 15? This is necessary for Wartburg to be able to assemble financial aid packages and notify students in a timely fashion. Will anyone be accepted after deadline? Unfortunately, we cannot accept referrals for seniors in high school after the Dec. 15 deadline — so start submitting students now, even if they’re freshmen or sophomores! 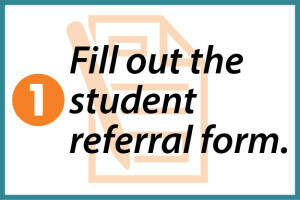 Anyone can refer a student to Wartburg, and we strongly encourage that. Only students submitted by a graduate of the college will be eligible for the Alumni Referral Award. What if a student is referred by multiple alumni? Hopefully that means many people have spotted a Knight in the making! That student’s Alumni Referral Award would bear multiple names to honor everyone who encouraged them to attend Wartburg. The award amount will not increase. Can a Legacy student receive an Alumni Referral Award? 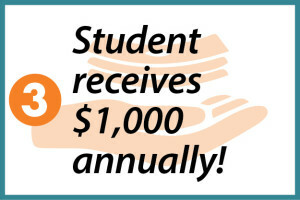 Our Legacy students (those who have had a parent, grandparent, or sibling attend Wartburg) will not be eligible for this award as they will receive the Legacy Grant, $1,500 dollars per year ($6,000 in total). Is a student eligible if they have already applied to Wartburg? Yes, as long the referral form is submitted before Dec. 15 of their senior year of high school. Why does Wartburg need the student’s contact information? We need some way to reach out to the student to tell them about Wartburg — and to notify them of the $4,000 award in your name! Why is it called an award and not a scholarship? Wartburg’s financial aid packages are made up of many pieces, including awards, scholarships, and grants. The end result is the same: a lower cost of attendance for a student. For more information or questions please contact the alumni office at alumni@wartburg.edu or 319-352-8491. Do I have to provide the money, too? Nope, referring a student won’t cost you a dime! This amount is built into their financial aid package from Wartburg. However, if you would like to give a gift to Wartburg, click here now! Potentially. 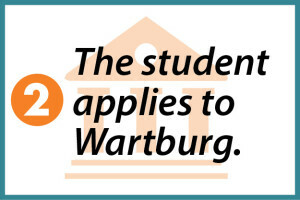 If they were referred as a high school student, the award of $1,000 per year up to four years will be honored in their transfer package — if they transfer to Wartburg College, that is. After completing the referral form, showcase your success on social media using #WartburgWorthIt to let others know about this amazing opportunity! It’s not every day you get the chance to give away $4,000, after all. Please note that students are not eligible for both the Alumni Referral Award and the Legacy Grant. For more information or questions about the Alumni Referral Award, please contact the alumni office at alumni@wartburg.edu or 319-352-8491.